Shop in the Medan, I asked this man if I could take his picture and he eagerly agreed! This tasty sandwich can be found all over Saudi Arabia as well as Syria and probably most middle eastern countries. In Riyadh when you walk down to the neighborhood shops there will be at least a few restaurants and most of them will sell Shawarma and Falafal sandwiches. Shawarma is a sandwich made on pita or Arabic bread. It has seasoned chicken wrapped up in Arabic bread, with sauce, french fries and slices of pickle. I guess you could say it is like a burger for us here in America. It is basically the quick sandwich you pick up at a neighborhood shop in a hurry! Shawarma meat is cooked on a vertical rotisserie as you can see in the picture! At home you can make a simple version with a few ingredients.You can put whatever you like in your sandwich but on the streets of Riyadh, it is chicken, french fries, pickles and sauce!! In Syria the same is true regarding this sandwich, it is found every where. The local area near my in-laws apartment is called the Medan. The street is lined with every imaginable shop for people in the local neighborhood. Trays of sweets sit out on the sidewalk, shop workers stand out front watching the latest soap opera on their television sets. We spent hours walking around this local shopping area. I asked the man in the featured image if I could take a picture and he happily agreed. Because I still have 7 people in my household, my cooking is a bit on the large side. I am scaling this down here but know that these are estimates. Put onion, garlic and 3 Tbs. of olive oil in a large pan and saute, add chicken and stir frequently, add spices, mix well. Place water and bouillon cube in a separate pan, warm water and dissolve bouillon cube, add to chicken mix. Cover and simmer until chicken is totally cooked. I like to let this simmer a little longer to make sure the chicken has soaked up these delicious flavors. 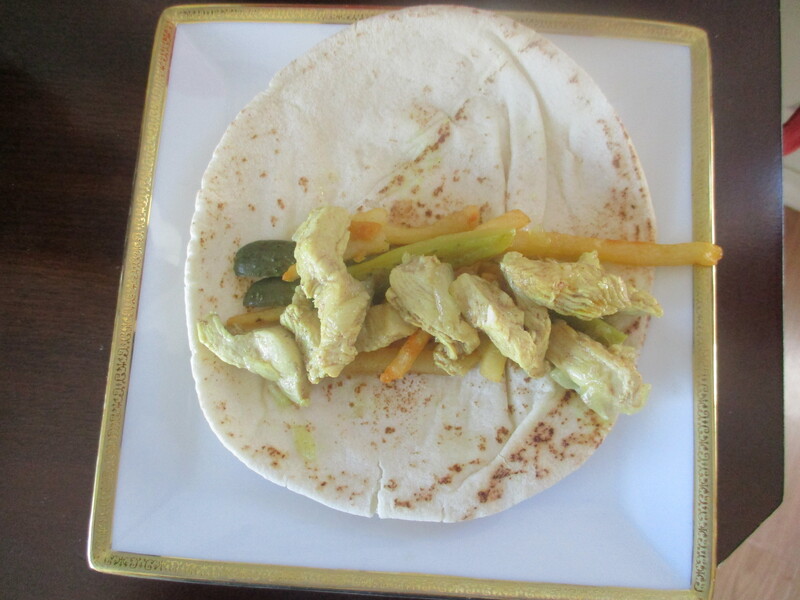 Spread sauce of you choice on Arabic bread, put chicken, pickles and fries, wrap it up and serve.